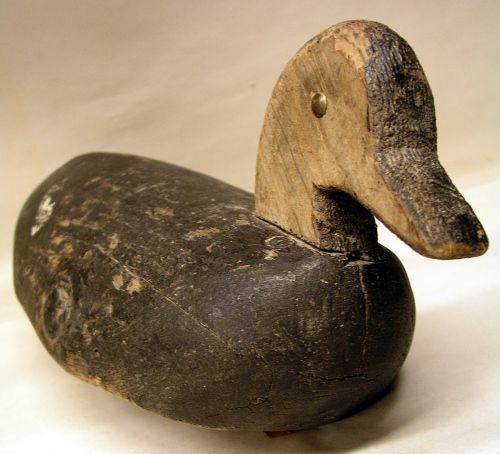 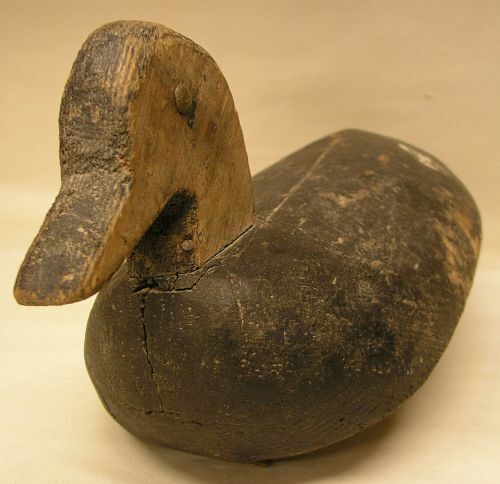 Primitive 19th Century solid one piece carved duck decoy with hand wrought iron weight and early nails. 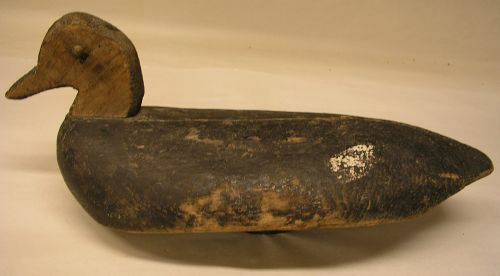 Great old as found dry painted surface with brass tack eyes. 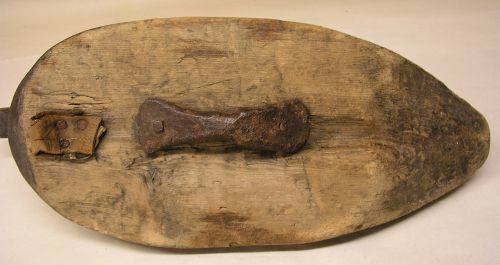 Dimensions: Measures overall 17.75" long.